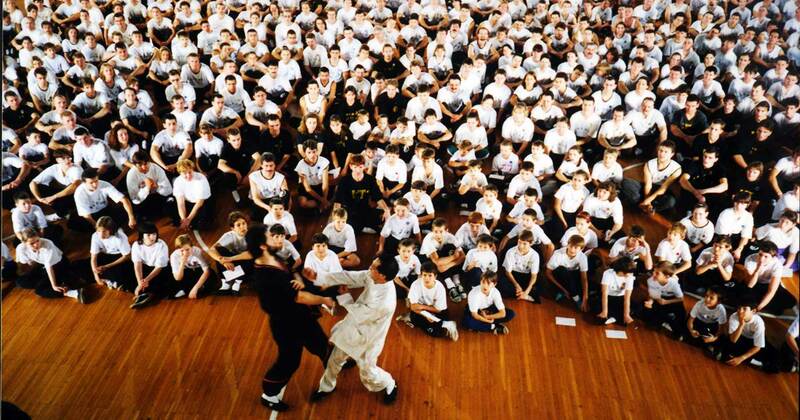 The training of Leung Ting WingTsun® practitioners. The International WingTsun™ Association overall is an organization established to develop and promote the Leung Ting WingTsun® System in all parts of the world and is therefore open to anybody interested to pursue this mission, whether or not they are practicing the technique. The association is administered by an Executive Committee with officials elected amongst members. An important goal of the Association is the teaching of the Leung Ting WingTsun® System and the training of practitioners. The administration of affairs on this side is handled by a special section of the Association overseen by an independent Committee (called the Committee of the Gymnasium). The Committee will ensure that all the gymnasiums are adequately equipped and that all training and coaching are undertaken with the highest standard by approved and qualified instructors. All practitioners enrolled to receive training must first register as members of the International WingTsun Association. During the past years, gymnasiums of the association have produced a great number of practitioners of such attainments who could in turn become instructors themselves. To ensure the instructors are genuinely qualified and that the training they give to their students are of the highest standard, a subsidiary organization, named the Instructors’ Organization, is established under the gymnasium section of the Association, which appraises and regulates the attainment of the instructors worldwide as well as assists them in the setting up of their own gymnasium and training classes. Practitioners must first register as a member of this Organization. To become a member of the Instructors’ Organization, an applicant is required to be nominated, and his or her nomination must be passed by all the members of the Committee of the Gymnasium before he or she will be admitted as a member. In the Instructors’ Organization, all the members are appraised by a strict grading system (divided into 12 Levels) according to the degree of their accomplishment and their contribution to the WingTsun™ System. The rules of the Instructors’ Organizaton do not stipulate the possession of the “Instructor’s Degree” for those intending to set up branch schools, but they do required all the qualified instructors to hold at least the 2nd Level. That is to say, if the principal of a branch school does not have a recognized instructor, the headman of the school must employ a qualified instructor to teach the students. All branches set up under the WingTsun™ banner must meet strict requirements of the International WingTsun™ Association, and the qualifications of all the instructors and the headmen alike, are kept on the record of the Association, which is open to enquiries by the public. This is to prevent possible impostors and swindlers from ruining the reputation of the Leung Ting WingTsun® System and the International WingTsun Association.